The Community Standards Bylaw regulates the removal, pruning, transportation, storage, and sale of elm trees in the city to ensure that the trees remain free of insects and disease. The City also asks that you report suspected cases of Dutch elm disease by calling 311. Dutch elm disease is a deadly disease that can affect any elm tree. Since its introduction from Europe about 1930, it has destroyed millions of American elm trees across North America. Dutch elm disease is caused by the fungus Ophiostoma ulmi that is potentially carried by the elm bark beetle and is destructive or dangerous to elm trees. It is a violation to store elm firewood or to transport any part of an elm unless it is to a disposal site, prune an infected elm tree, or to prune between April 1 and September 30 in any year. When can I trim an elm tree? You can trim a healthy elm tree between October 1 and March 31. 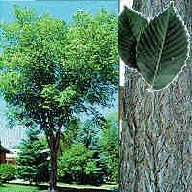 If trimming is required at other times in the year, you can obtain an elm pruning permit. This can be obtained from Pest Management. Please be aware that any person who removes an elm tree from their property must also remove the stump to a minimum of 10 centimetres below the soil line. What can I do with the cut wood? Large loads of elm wood can be taken to the Edmonton Waste Management Centre.